Climate Common Sense: Lilliputians attack a great man! Lilliputians attack a great man! Scientists with minds that could not comprehend the majority of Freeman Dyson's work are attacking him because he disagrees with the climate religion. When Dyson granted an interview recently his common-sense statements on global warming have incensed the Climate Clergy and their acolytes. Peter Gleick the disgraced scientist who fraudulently obtained documents from Heartland and has been accused of forgery tweets that "it will forever diminish his legacy". Freeman Dyson is a physicist who has been teaching at the Institute for Advanced Study in Princeton since Albert Einstein was there. When Einstein died in 1955, there was an opening for the title of "most brilliant physicist on the planet." Dyson has filled it. That research, which involved scientists from many disciplines, was based on experimentation. The scientists studied such questions as how atmospheric carbon dioxide interacts with plant life and the role of clouds in warming. 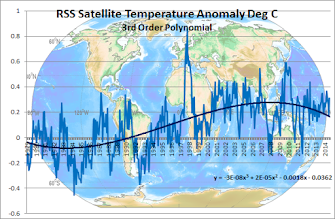 But that approach lost out to the computer-modeling approach favored by climate scientists. And that approach was flawed from the beginning, Dyson said. A major fudge factor concerns the role of clouds. The greenhouse effect of carbon dioxide on its own is limited. To get to the apocalyptic projections trumpeted by Al Gore and company, the models have to include assumptions that CO-2 will cause clouds to form in a way that produces more warming. Dyson said his skepticism about those computer models was borne out by recent reports of a study by Ed Hawkins of the University of Reading in Great Britain that showed global temperatures were flat between 2000 and 2010 — even though we humans poured record amounts of CO-2 into the atmosphere during that decade. That was vindication for a man who was termed "a civil heretic" in a New York Times Magazine article on his contrarian views. Dyson embraces that label, with its implication that what he opposes is a religious movement. So does his fellow Princeton physicist and fellow skeptic, William Happer. I hope that guy never gets to hear Dyson’s most heretical assertion: Atmospheric CO-2 may actually be improving the environment. "It’s certainly true that carbon dioxide is good for vegetation," Dyson said. "About 15 percent of agricultural yields are due to CO-2 we put in the atmosphere. From that point of view, it’s a real plus to burn coal and oil." I know why: They’re lazy. Instead of digging into the details, most journalists are content to repeat that mantra about "consensus" among climate scientists. The problem, said Dyson, is that the consensus is based on those computer models. Computers are great for analyzing what happened in the past, he said, but not so good at figuring out what will happen in the future. But a lot of scientists have built their careers on them. Hence the hatred for dissenters. "It was similar in the Soviet Union," he said. "Who could doubt Marxist economics was the future? Everything else was in the dustbin." There’s a lot of room left in that bin for the ideas promulgated by people dumber than Dyson. Which is just about everyone. "The essence of science is that it is always willing to abandon a given idea, however fundamental it may seem to be, for a better one; the essence of theology is that it holds its truths to be eternal and immutable. Where did they get the idea that warmer is a bad thing? When people get old and feeble they move from Wisconsin to Florida, not the other way around. There may be more insects, tropical diseases, parasites, etc. in Florida but on balance it is easier to stay alive there if you are feeble - that is an undeniable fact. 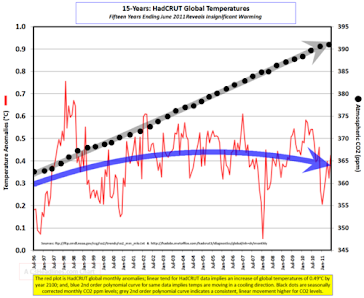 How did the morons who call themselves climate scientists convince people otherwise? Dyson's legacy will take care of itself. If Peter Gleick is remembered by posterity, it won't be for scientific reasons.